In my last post for 2010, I want not only to send my very warmest wishes to my readers for the year ahead, but also to express my thanks for the way in which your kindness and encouragement, manifested in a variety of forms, has helped to carry me through twelve months that have sometimes been more than usually challenging. I am truly grateful. I also wanted to reflect on some of the good things that have happened this past year. 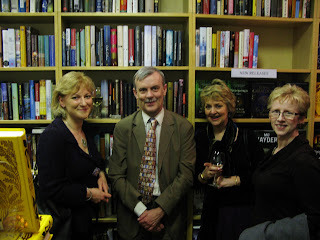 On the writing front, I was thrilled by the response to and reviews of The Serpent Pool, and to have two launches in Hawarden and London, the latter a joint event with Ann Cleeves, was very gratifying. I enjoyed putting together the anthology Original Sins and an excellent press lunch organised by the publishers at a posh restaurant in London. And I’m really pleased about The Hanging Wood – I like to think it is the best Lake District Mystery so far. My trip to the Lakes on my birthday was a real highlight of 2010 - the wonderful weather of July seems a very distant memory now! Crimefest in Bristol was great fun, including a pub quiz in a team of delightful people and the ordeal that calls itself Criminal Mastermind! I now have two lovely inscribed commemorative pieces of Bristol glassware to remember the last two years’ quizzes by; in 2011, I shall be very glad to be in the audience, instead of in the black chair. 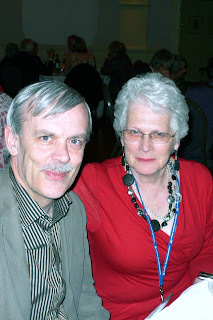 I met a good many pleasant writers and readers (including readers of this blog) for the first time in 2010, not least at Crimefest, and hope to see at least some of them again next year. The CWA conference in Abergavenny was great - one of the photos shows my Saturday dinner companion Janet Laurence, and another shows a gathering of crime writers at Abergavenny Castle. For various reasons, I couldn’t manage a trip to a US convention this year. However, I paid a fleeting – but very pleasurable – visit to the Harrogate Crime Festival, and missed out on the St Hilda’s Conference in Oxford last August for the best of reasons: a cruise in the sun around the magnificent Baltic capitals. But I shall be one of the speakers at St Hilda’s next August. I’m looking forward to it already. And next October may – exam results permitting – see both junior Edwardses studying at Oxford, which would be lovely if it happens. I’ve given a number of talks, and put on my Victorian murder mystery event a couple of times. And I’ve read a lot of good books, some old, some new, and most of them (as well as most of the films I’ve watched) have featured on this blog. Although I've cut down on the number of posts, I'm very glad that the blog continues to be visited very regularly. Above all, I’ve had the good fortune of much support from friends and family, and many reasons to reflect that the crime writing community really does contain some truly delightful people. I enjoyed Rene Clair’s 1945 film version of my favourite Agatha Christie novel, And Then There Were None. The screenplay, by Dudley Nichols – who had previously been the first person to refuse an Oscar – was sound, despite a number of changes from the original. Apparently, some of the script changes were to fit with the Hays Code of morals on screen that was in force at the time. Christie’s story included a child murder committed by one of the guest, and such a crime was deemed beyond the pale. This plot point is an instance, by the way, of Christie’s work sometimes being darker than her critics tend to allow. The big cop-out is the ending, which is much less sinister than the brilliant original (even if the original does require a lengthy written confession, a sign of structural weakness in most detective stories, but not here). However, I thought Clair and his cast did a pretty good job on the film and I was glad to catch up with it at long last. My third 'Christie for Christmas'! Agatha Christie’s Marple this evening gave us The Secret of Chimneys, from a book which dates back to 1925. Jane Marple does not appear in the book, and frankly the story – a cheerfully ludicrous thriller – would be long forgotten if Christie were not the author. I felt compelled to watch, though, to see what the scriptwriter, Paul Rutman – a capable and experienced TV detective drama writer - would make of a very tough challenge. His approach was to take a few small plot elements and a number of characters (or, at least, their names) from the original but to create an entirely new story, with the scene being set in 1932 before moving into the 1950s, with Miss Marple, in the shape of Julia Mackenzie, improbably invited to Chimneys along with an exotic foreign aristocrat and a woman from ‘National Heritage’. The cast was good, including the reliable Edward Fox, the beautiful Charlotte Salt and the talented Dervla Kirwan. But the story-line was risible and Christie probably turned in her grave at the identity and motive of the culprit. I was certainly amazed, but not in a good way. I was left wondering what was the object of the exercise. I could see the point of the new TV version of Murder on the Orient Express, even though I’ve read some comments by purists who disapprove of the changes made to the original, because the focus on justice was – to me – genuinely interesting. But with The Secret of Chimneys, a silly but mildly amusing book from the 1920s just became a silly TV show of 2010. Disappointing, to say the least. I've always celebrated Christmas in Cheshire, but I've never known one as white (or as cold!) as this year's! Here are some photos I took while walking out on the 25th. And I hope the festivities have been going well for the readers of this blog. I’m looking forward rather eagerly to a number of publications next year. When I first became a published author, I got a real kick out of seeing my manuscript turned into a ‘proper book’, and I’ve not lost the thrill of the experience, thank goodness. It really is exhilarating. 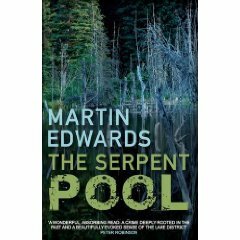 The Serpent Pool appears in paperback in the UK early in January, and given the extensive and favourable reviews of the hardback edition, I’m hoping that reaction will again be very positive. The Hanging Wood will appear, at least in the US, under the Poisoned Press imprint. I’m not yet sure what is likely to happen in the UK. Around the same time, my German publishers will bring out The Serpent Pool. Here is the proposed cover. 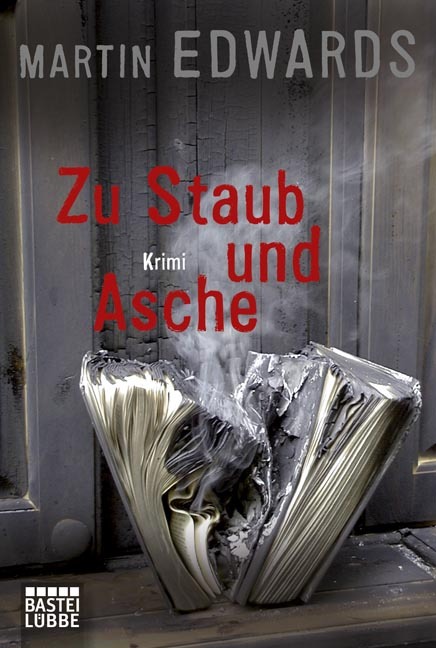 The title, in translation, is ‘To Dust and Ashes’. Murder on the Orient Express, starring David Suchet, the latest Agatha Christie’s Poirot to hit the TV screen, was my choice for Christmas Day viewing. And I’m glad I watched it, since it was one of the best of all the screen versions of any Christie story. Better, certainly, than the film version of the book starring Albert Finney as Poirot, even though the film is not at all bad. Why was this version so good? The answer lies in the focus on the precise nature of the motive for the crime and the proper response to it. I guess that most readers of this blog are familiar with the central gimmick, but I’m not going to give it away. However, the key theme of the book – as with And Then There Were None – is the idea of doing justice, and in particular the doing of justice in circumstances where conventional legal systems fail to achieve the ‘right’ result. This is a powerful, perhaps eternal, issue, one that is apt to crop up in all societies, at all times. And Christie’s willingness to take on such issues, in the context of an elaborately and innovatively plotted classic detective story, is one of the reasons for her enduring success. The screenplay homed in on Poirot’s battle with his conscience, and I thought that Suchet’s performance was superb. The supporting cast, including Eileen Atkins and David Morrissey, was very strong without being over-burdened by star names. The script by Stewart Harcourt was first class, creating a consistently sinister atmosphere. Anyone expecting an entirely cosy experience from watching this version will have been surprised. But also, I hope, impressed. As Christmas approaches - and as you can see from the photo, it's a white Christmas here in Lymmm, can I sent my very best wishes to all of you who read this blog. Have a great time! The TV schedules look promising. But how can I choose at 9 pm between Murder on the Orient Express – the new version with David Suchet – and the classic And Then There Were None, which is my all-time favourite Christie? We’ll see! My recent Jessica Mann reading binge has continued with A Private Inquiry, first published in 1996. This came twenty years after The Eighth Deadly Sin, which I discussed here recently, and the story is very different – but there are two elements which are similar. The first is the way Mann shifts viewpoints. In the early stages of the book, she does so to almost bewildering effect. We begin with a planning inquiry, overseen by Barbara Pomeroy, and it seems as though this will be her story. But then the focus shifts to one of the inquiry witnesses, Fidelis, with off-shoots involving her new young assistant Sophie, Barbara’s family life, and the dodgy entrepreneur whose planning application is under consideration in the opening pages. It’s a clever and unorthodox technique, which has the effect that you don’t really know what the book is ‘about’ in terms of the central mystery, for quite some time. The second is the focus on women characters and the issue that concern them. We start with Barbara and her career, and before long her family life – which involves an impotent husband who takes a keen interest in a mysterious neighbour, and a child who has recovered from serious illness – becomes significant. Fidelis, who has had a double mastectomy, is a fascinating and complex character, who finds herself strangely attracted to, and envious of, young Sophie. Sophie herself is an intriguing character, a biker with an interest in psychology. And finally there is Buffy, the wife of the entrepreneur, who has gone missing in rather odd circumstances. All these ingredients are mixed with subtle skill. I guessed some elements of the plot, but by no means all of it, despite the fact that the clues are fairly supplied, and for me, the suspense became truly gripping in the latter part of the story, as I began to realise the nature of the puzzle. An unusual and satisfying book, which unquestionably deserves to be better known. Inevitably, the main focus was on Stieg Larsson, but there was also discussion of a range of other writers, including Karin Fossum, Jo Nesbo, Henning Mankell, Sjowall and Wahloo – and Arnaldur Indridason, whose native Iceland is one country I haven’t visited and which is high on my to-be-travelled-to list. And there was mention, too, of Miss Smilla’s Feeling for Snow, by Peter Hoeg, which some might call a ‘literary’ crime novel, and certainly a book which is memorable, especially perhaps for its early scenes. No mention,though, of Gunnar Staalesen, whom I discussed here a little while back. 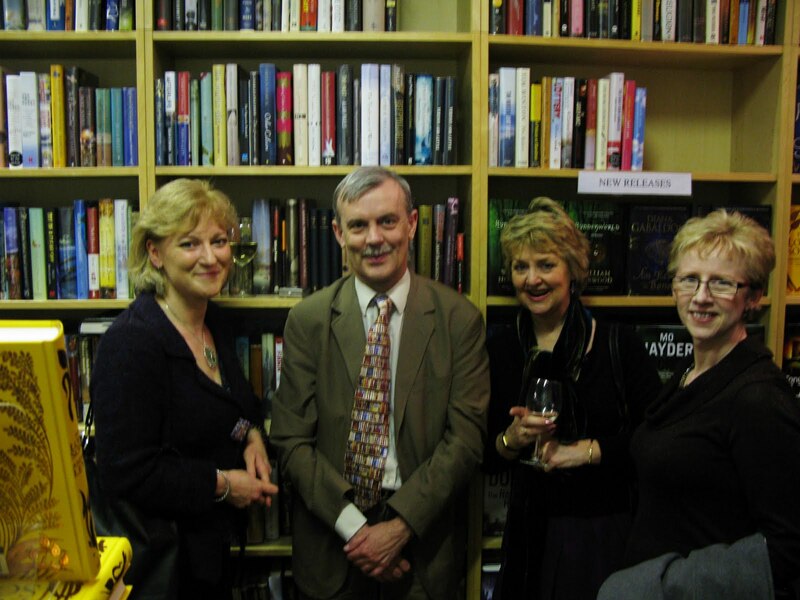 The talking heads included the crime fiction commentator Barry Forshaw, and novelists Val McDermid and Hakan Nesser. The witty and amiable Nesser made the point that there are fashions in crime fiction as in other areas of life, and that one of these days, attention will shift elsewhere. Another interesting comment was that younger writers may be more interested in global issues than in exploring localised societies – I’m not sure whether I agree with this broad generalisation, but it certainly got me thinking. ‘Write what you know’ is a tired – and unnecessarily limiting - cliché of advice for budding writers, but like most clichés, it contains an element of common sense. However, the nature of fiction is that it is an imaginative form, and so to my mind, there is a limit to ‘writing what you know’ – because it’s good to escape from what you know, and to explore things you don’t really know at all. To take an obvious example, I’m fascinated by writing about murder, and motivations for murder. But I’ve never murdered anybody, and I don’t plan to. Honest. Having said all that, it would be silly to deny that sometimes there is an element of autobiography in fiction, and this can sometimes creep in quite unintentionally. This is a point which Jessica Mann made when responding to my enthusiastic post about her book The Eighth Deadly Sin. A writer will often take elements from their own life and use them in fiction – but perhaps subtly, or dramatically, changed. There is a great temptation, when reading a novel, to seek clues to the author’s personal life and thoughts. And sometimes the clues are fascinating. But this kind of amateur detective work is often liable to result in one jumping to the wrong conclusions. It’s fun to do, sometimes, but not to be taken too seriously. With my own books, Harry Devlin shares a number of characteristics with me. He’s a lawyer based in Liverpool, who likes soccer, cricket, films and 60s pop music. But I never wanted him to be a portrayal of myself, so I wove in plenty of stuff that he and I do not share. For instance, he gets involved with criminal and divorce work, and I’d hate to do so. He also lives less in his imagination than I do, and as a result, he’s a lot braver than me. But I’ve never seen this as wish fulfilment – I created a life for him that I really would never want to have for myself! With Daniel Kind, it’s different. He and I both come from the north of England, and went to Oxford, but otherwise our lives are dissimilar in countless respects. Sometimes the differences - as well as similarities, are written into the character without pre-planning. I still can’t understand why he got hooked up with people like Aimee and Miranda, and judging from emails I receive, nor can many of my readers! Strangely enough, I’ve become more fascinated by Hannah Scarlett than by Daniel in recent years. I love exploring her life and psychology. The way women think is something else that fascinates me, even though sometimes it perplexes me. And I've written short stories from the perspective of historical characters, an American, and a gay politician. I’m just intensely curious about other people’s lives, and on the whole, fiction appeals to me much more as a means of exploring other lives than of presenting an autobiographical picture of myself. My latest choice for a Forgotten Book is No Friendly Drop, by Henry Wade, which dates back to 1931. When I read the first chapter, I feared the book might be a big disappointment. There was quite a bit of seemingly aimless chit-chat between the landed gentry – Lord and Lady Grayle, of a decaying great house called Tassart, and their son and daughter-in-law. But before long, my interest quickened and it became clear that Wade had planted important clues in that first chapter. Lord Grayle dies, in mysterious circumstances, of an odd combination of poisons. The local police call in Scotland Yard, and Wade’s regular cop, Inspector John Poole, is sent to investigate. Poole is nicely characterised – young, intelligent if sometimes fallible, keen and likeable, a much more rounded figure than, say, Freeman Wills Crofts’ Inspector French. Even the minor characters are nicely done – I rather enjoyed the idea of an aged solicitor ‘who had never used a telephone in his life’. And I liked Wade’s wry reflection, when Poole thinks that a woman of 55 might not be driven by passion, that ‘Poole did not yet know everything about life’! All in all, a good book. Not a match for the best of Christie, but readable and intelligent. I am definitely a member of Henry Wade’s fan club. Canon Victor Alonzo Whitechurch was a founder member of the Detection Club, and a book he wrote in 1926 is my latest choice as a Forgotten Book. It is The Crime at Diana’s Pool, and is one of his six crime novels – he also wrote some good short stories with railway settings, several of which feature Thorpe Hazell, a sleuth who memorably combines vegetarianism with health faddishness and an enthusiasm for rail travel. This is a book with a classic country house setting. A garden party ends in the murder of the host, Felix Nayland, and the obvious suspect is a mysterious chap – foreign and needless to say, bearded – who cons his way into the band that had been hired to entertain the guests. One of those guests was Harry Westerham, a likeable cleric who does some of the detective work, along with the industrious Sergeant Ringwood. Whitechurch makes the point in a preface that he had no idea of the solution to his mystery when he wrote the first chapter. I have to say that I figured out the culprit at an early stage, but it’s a tribute to the author’s light and agreeable style that he kept me interested despite this. My copy is, in fact, not a musty volume dug out of a second hand stall, but a brand new, nicely produced paperback published by Ostara, a Cambridge-based print-on-demand outfit who have brought back a number of obscure titles – college and clerical crime as well as some good thrillers – and have also reprinted some nice books by splendid modern authors such as Keith Miles and Kate Charles. I am a fan of Ostara, and encourage others to support their enterprise. I raised the question a while back as to when you can draw the line with a book, and send it off to a publisher. But of course, there is a question that needs to be dealt with earlier – how much time and effort should I devote to revising? How to go about revising? Well, there is no all-encompassing answer – there are various possible approaches. I think it is easier to cut than to expand. If a story is wordy, it can be trimmed. But if it’s anorexic, it may require significant additional plotting and development, which is harder to achieve. I don’t worry too much if my initial writing is a bit wordy, but I do try to remedy this at re-write time. There are other things to do, as well. Ensuring consistency of theme and mood is often important. So is eliminating inconsistencies of style, and repetitions. But I don’t, personally, find revision too boring (unlike proof checking, which is incredibly tedious). It offers a chance to make a book much better. And I am firmly of the view that a few relatively limited changes can often make a disproportionately significant difference to the quality of a book. Authors who skimp on revision do so at their peril. Many years ago, I met a writer who announced she never revised. I felt this was a mistake. And it may not be a coincidence that she has more or less disappeared from sight since then. A pity, since she was a nice person and a good writer. But even a good book can be improved by revision. Jessica Mann is a British writer I’ve mentioned several times on this blog, and I’m surprised her work is not more widely discussed, as she has produced a number of very well-written novels over a long period. I’ve just read one that dates back to 1976, The Eighth Deadly Sin. The set-up is intriguing. A sleazy lawyer (yes, believe it or not, they do exist!) meets an attractive woman at a party and they begin an affair. But she conceals her true identity from him. Gradually, his lust turns to love, but she doesn’t reciprocate. When he runs into significant financial trouble, he wants to turn to her for help. Trouble is, she has vanished, and his attempts to trace her run into a brick wall. Then the viewpoint switches, and we start to see things from the woman’s perspective. And it becomes clear that Mann’s real preoccupation is not so much to do with the mystery of who the woman is, but the question of how she can escape from what stifles her in her everyday life. The rather unappealing and unfortunate lawyer fades increasingly into the background even though he remains, in a sense, pivotal to the plot. There are crimes, a mystery, and ultimately a murder and a trial in this story, yet it is far removed from a conventional crime novel. If you are interested in the way women think and behave - and who is not? - I’d say that you are likely to find this unusual book worth tracking down. There aren’t too many fireworks, but the story-line does provoke thought. There is a good deal of period interest in Big Business Murder, by G.D.H. and M. Cole, my latest entry in Patti Abbott’s series of Forgotten Books. It was first published in 1935, when the husband and wife co-authors enjoyed a considerable reputation for their detective stories as well as in their capacity as leading socialist thinkers. Three years earlier, George Cole had published a book called The Intelligent Man’s Guide Through World Chaos (sadly, I’ve never seen a copy – perhaps the intelligent men all kept hold of theirs) and he was also a prominent economist, as well as a mentor of the future Prime Minister, Harold Wilson. The novel begins with a gripping scene, at a board meeting of Arrow Investments. Kingsley Manson, the managing director, reveals to his colleagues that the business is founded on a swindle, which seems likely to unravel unless they all support his attempts to solve the problem. An honest director called Gathorne objects, but the others go along with Manson. After the financial dramas of 2008, some of the Coles’ points struck a surprisingly modern note, I felt. There is a timelessness about greedy, vain or naive people who think that business is all boom, and never bust. The scene was set for a great book. Gathorne, predictably, is murdered, but after this the story rather falls apart. One of the directors, believing that Manson’s wife is the killer, tries to clear her by confessing to the crime. The Noble but Misguided Confession was a staple of Golden Age detective fiction and Agatha Christie was among those who used the device to complicate her plots. It can, however, be irksome if over-done, and the Coles over-do it badly, so that half the book is devoted to the ramifications of the false and foolish confession before Superintendent Wilson makes a belated appearance. There are various references to the Nazis, or economic problems in Germany, and there are nice but all too brief touches of satire. The unlovable Inspector Ebenezer Jones is made to say, ‘I don’t hold with Socialism’ – the sort of in-joke that writers often enjoy introducing into their stories. The snag is that, rather than use the business scam as a context for a probing study of the pressures that may drive people to crime, the Coles came up with a half-hearted plot and Wilson solves the mystery in a very anti-climactic fashion. This is a book that is interesting, but for reasons other than those which the authors intended. Charles Williams is a name associated with a hardboiled American writer, but it was also the name of a British man of letters who was a chum of C.S. Lewis and Tolkien and a member of the Inklings who gathered in Oxford in the 30s. He wrote a few books which included elements of the detective story, though he wasn’t a crime writer in the conventional sense. He was, however, a keen reader of Golden Age stories at the time they were being written, and for about five years he reviewed them in a positive and readable way for English newspapers including The Daily Mail. Happily, an American, Jared Lobdell, has compiled a collection of them, in a delightful book called The Detective Fiction Reviews of Charles Williams. Lobdell sets the reviews in context, writing interestingly about the Golden Age and providing notes about the many authors discussed. They range from Christie and Sayers to totally forgotten names such as Dale Collins and Richard Essex. He is fairly kind even to books that he clearly did not rate highly, but you can always get a clear sense of when he regards a novel as genuinely impressive. And his judgment, to my mind, is consistently sound. This is not easy to achieve. There are many books that make a splash on publication which do not stand the test of time. But Williams was very good at spotting a class act – as well as at identifying books which rose above the formulaic. There are a good many books that he praises that I haven’t encountered, though. Even if some of them aren’t as impressive as he suggests, I’m strongly tempted to track them down. Last Will is a recent movie starring Tatum O’Neill as a newlywed who marries into a very rich family. Her husband, played by Tom Berenger, is a nice guy who is also a surgeon, but it soon becomes apparent that his two younger brothers are much less appealing characters. Tatum is perceived by the brothers as a gold-digger – which she isn’t – and things take a nasty turn after she becomes involved in the family business. The husband, an older man, has a history of health problems and it is soon telegraphed that he is not in great shape. When a rich person in a crime movie makes a fuss about signing a new will, it does not take a Poirot to deduce that he isn’t long for this world. And, all too soon, Tatum is widowed. But worse is to follow when evidence points to her having killed her husband in order to inherit. Fortunately, a likeable cop, played by James Brolin, is on hand, and he has good reason not to like the surviving brothers. But matters go from bad to worse during a court case over the inheritance, when it emerges that the judge is in the brother’s pocket. Tatum’s brother, who is also her lawyer, does a bit of amateur detective work, and is beaten up for his pains. How can the grieving widow save herself? This is quite an entertaining thriller, and it isn’t formulaic. I really liked Brolin’s performance, which was the strongest part of the film. But I did think that the story-line jumped around a lot, and some of it struck me as unconvincing. I know that American law is different from British law, but even so.... I’d rate this as worth watching, but not much above average. If you want a great film with plenty of legal twists and turns, Body Heat remains at the top of the heap. I haven’t read Dennis Lehane’s novel, on which it was based, but I’ve just watched Clint Eastwood’s movie, Mystic River. The film garnered several Academy Award nominations, and two Oscars, and I’m not surprised. It is very involving. Three small boys are playing in a Boston street, years ago, when a pair of paedophiles abduct one of them. The lad escapes, eventually, but is permanently affected. The rest of the story is set in the present day, when the three boys have grown up. But that past event continues to haunt them. One of the boys (Sean Penn) is an apparently reformed villain, whose beloved daughter goes missing. When she is found murdered, the case is investigated by the father’s childhood chum (Kevin Bacon) while sympathy is offered by the man who was abducted in his youth (Tim Robbins.) A series of misunderstandings, rooted in that abduction, lead to terrible consequences. The performances of Penn, Robbins and Bacon are uniformly excellent. I did not know that there really is a Mystic River – it turns out to be the backdrop for a grim execution. This is a restrained piece of film-making, but all the more powerful for that. I was impressed. The very title of The Boat-House Riddle by J.J. Connington gives away the fact that it is not a modern book. You’d never use such a title nowadays. And I think it’s a worthy entry in Patti Abbott’s series of Forgotten Books, because I’d like to bet that very few even of the knowledgeable readers of this blog have ever come across this particular novel. It was published in 1931, and my copy is a 1969 reprint, published by Lythway, who produced a lot of books for libraries in those days, some of which I read in my teens. The boat-house in question belongs to Wendover, pal of Connington’s usual detective, Chief Constable Sir Clinton Driffield. Driffield comes to stay with Wendover, and soon the body of a gamekeeper is discovered near the boat-house. We are provided with a plan of the scene. And eventually a second body is dredged up from a lake. This is a soundly constructed story, although the circle of suspects is small and there isn’t a great deal of tension or dramatic action. Much of the story is devoted to working out the sequence of events on one particular evening. But I found the book a quick and agreeable read. An interesting feature of the novel is the observations about social class, which probably tell you a lot about England in 1931 (though I should add that Connington was a Scot who lived in Belfast.) For instance: ‘If Ferrers had been one of those foreigners who can be strung up to any pitch by jealousy, there might be something in it. But an Englishman of that class would never turn a casual flirtation into a murder drama.’ But my favourite line is: ‘In science, an international reputation implies merely that an author’s papers are read by a handful of specialists, half of whom probably disagree with the conclusion’. Connington was a scientist, and I suspect he enjoyed writing that line. I promised to talk about the art of putting together an anthology - so here goes. Of course, I claim no special expertise, but after editing seventeen anthologies, and being invited to contribute to a good many others over the years, at least I do have experience! My own preference tends to be for anthologies that have a connecting theme or link of some kind. This helps to give a bit of shape to what might otherwise be shapeless. But I don’t tend to obsess about the theme. ‘Perfect crimes’ or ‘Identity’ are themes that can encompass a remarkably wide range of stories. Variety does seem to me to be important. The risk is that a reader may like some stories more than others. But that is inevitable. The key is to try to include good stories, so that even if some readers aren’t bowled over by one story, others will be. And variety includes variety of length. Sometimes I include pretty short stories, sometimes much longer ones, though never anything above 10,000 words. It’s great fun to receive and read the stories. Crime writers, I’ve found, are very generous. I like to include stories by overseas writers when I can, and I also like the idea of mixing star names with unfamiliar names, and relative newcomers. The only part of the process that I hate is rejecting stories. None of us likes rejection, and I don’t like inflicting it. But it’s unavoidable, because every time, I receive more stories than there is space. To reject a story does not imply fault within the story itself, and I do try to make that clear to the authors concerned. I can only hope they understand the dilemma. I love writing short stories, and I love reading them too. I’ve been especially thrilled when stories I’ve selected have gone on to win prizes – CWA Daggers, an Edgar, a Barry, and many nominations over the years. These honours give me a vicarious sense of satisfaction. But even more rewarding is the privilege of having been the first to see some masterly stories by the likes of Ian Rankin, Lawrence Block, Edward D. Hoch, Reginald Hill and so on. For a crime fan, what could be better?